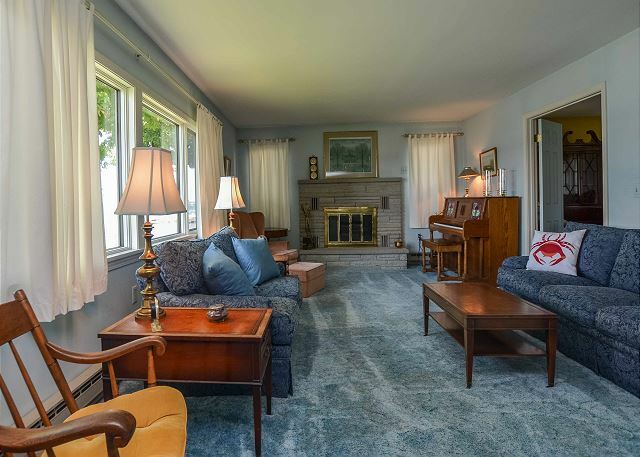 Take "A Step Away" from it all at this charming Canandaigua Lake cottage! 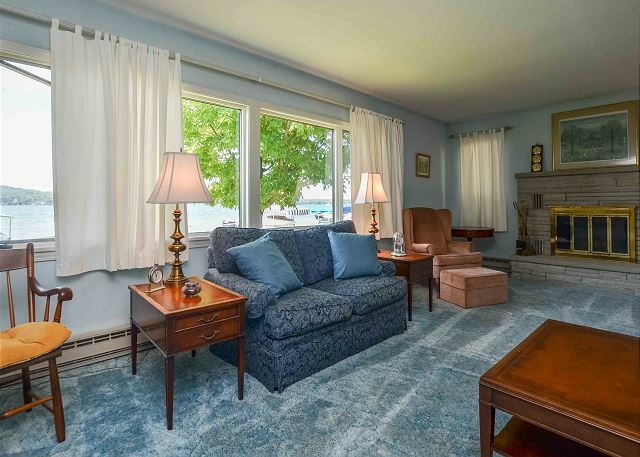 Located less than 5 miles from downtown Canandaigua attractions, the property offers many recent amenity upgrades and level lakefront, ideal for guests of all ages to enjoy the popular east side on Canandaigua Lake. The parking area is across the driveway from the house, in front of the detached garage. 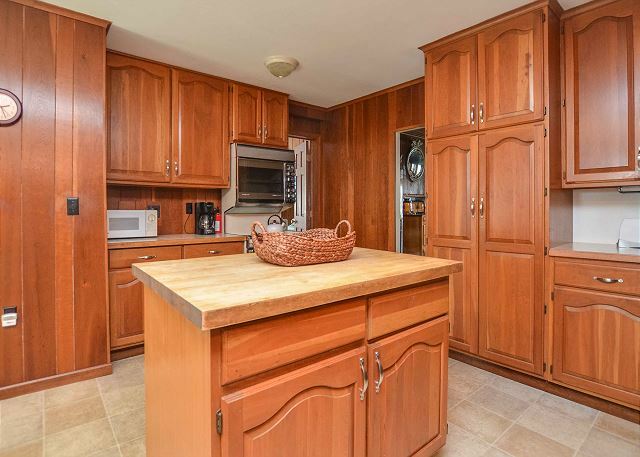 The main entry is in the rear and opens into a recently remodeled kitchen, with newer appliances, beautiful cabinetry, and an island breakfast bar with seating for four, and an additional island for extra counter space. 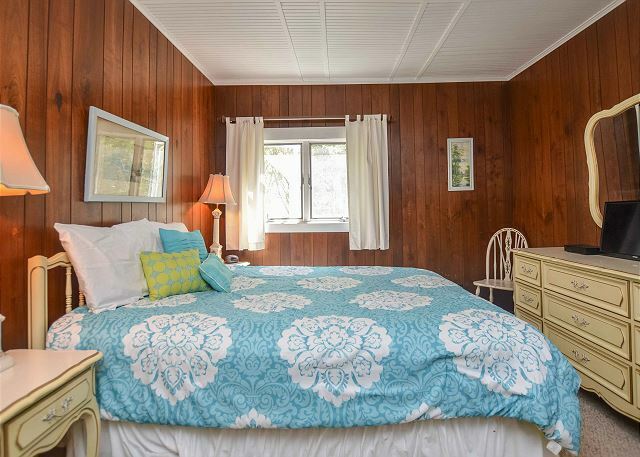 To the right of the kitchen is small entryway where you will find the washer/dryer, and leads to a full bathroom with a shower/tub. 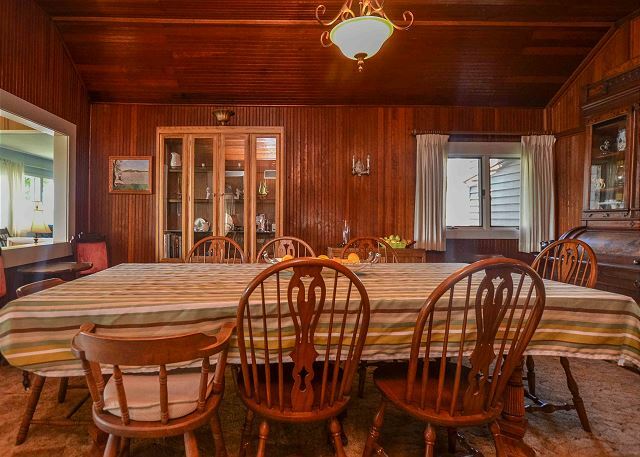 Straight off the kitchen is a formal dining room, with wainscoting walls and ceilings reminiscent of the original style cottages on Canandaigua Lake. 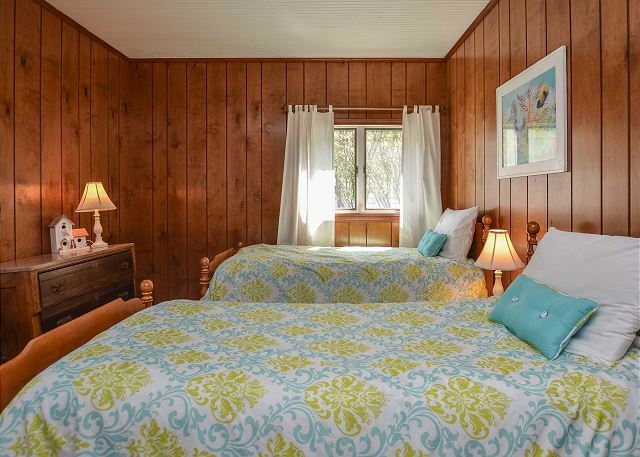 To the left are two bedrooms, one with a queen and one with two singles. 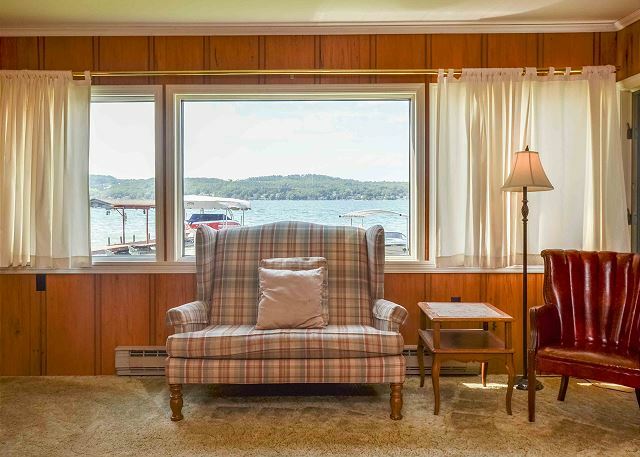 In the front of the cottage is a large living room with magnificent views of the lake through large picture windows. 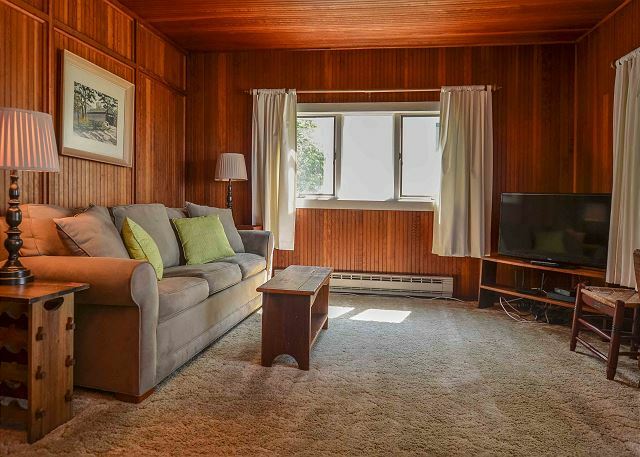 A sleeper sofa in the family room offers additional sleeping, and is a great space for children to enjoy movies and games. There is also a new flat screen TV for guests to enjoy movies or catch up on the news. 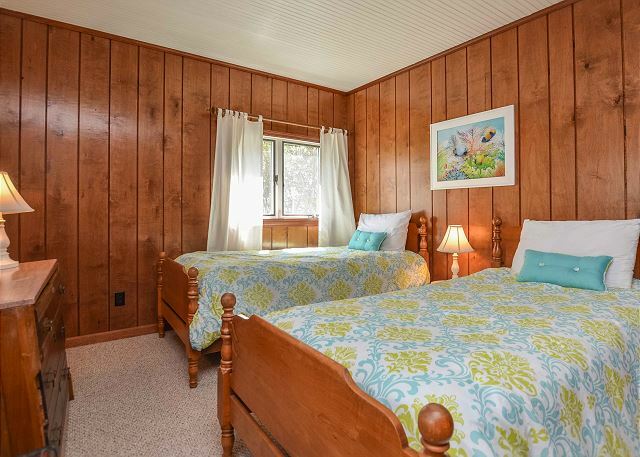 In the rear of the living room is a large master suite, with a queen sleigh bed, matching dresser with mirror, and full en-suite bathroom with a shower/tub. 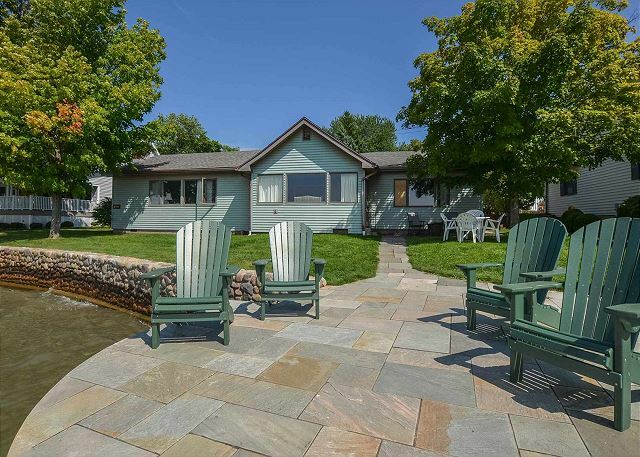 A door off the living room walks out to a small waterfront yard and lakeside patio, 90 feet of prime, level lakefront, and dock for enjoying waterfront activities. A boat hoist is provided for those that rent or bring a boat, and a stand alone firepit is available for enjoying evening campfires. 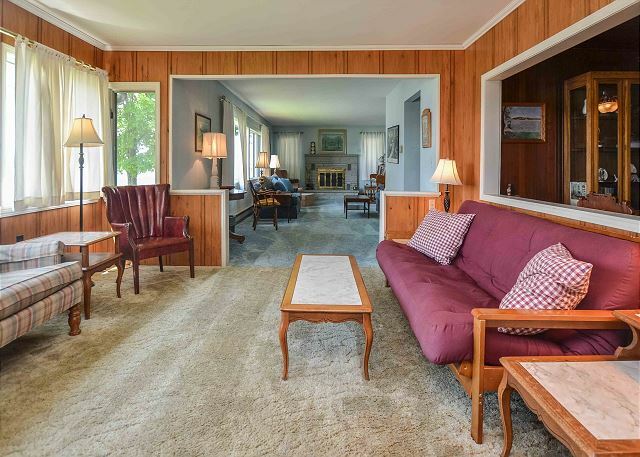 For children, there is a large level yard behind the detached garage to enjoy yard/lawn games. 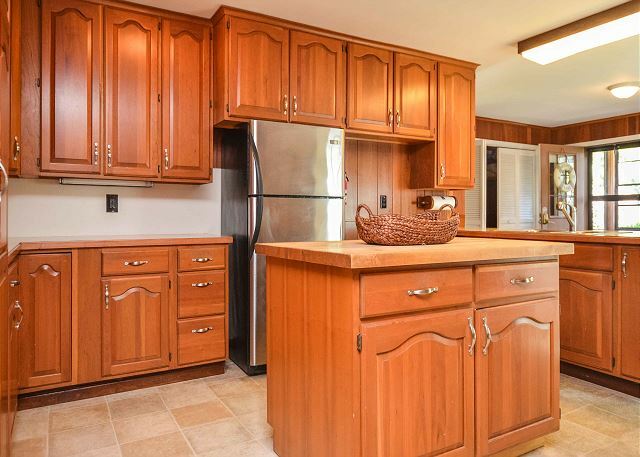 Behind the house, conveniently just off the kitchen is an additional patio, ideal for grilling meals on the BBQ. Rent a boat from one of the local marinas, and spend the day enjoying the waters and scenic views on the lake. 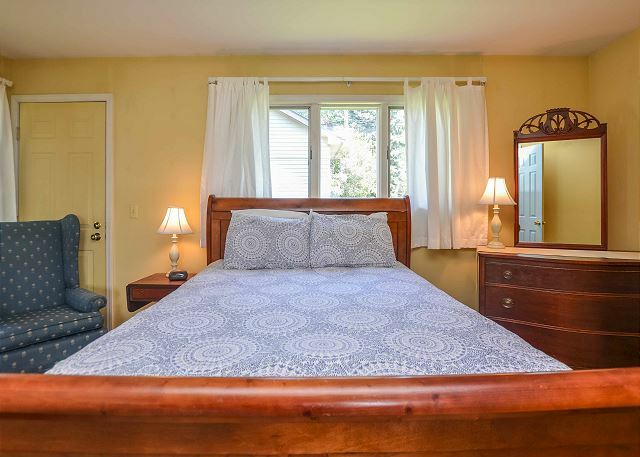 Located just a few miles from CMAC, A Step Away is conveniently located to concerts, fine dining, and a variety of shopping in downtown Canandaigua.